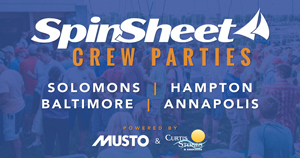 Meet your local Chesapeake Bay sailboat yacht brokers. These yacht brokers will help you find your ideal sailboat or help you list your boat for sale. Brad Kauffman is the leading yacht broker at Dream Yacht Sales in Annapolis. With over 20 years of experience, he can guide you with ease through the buying or charter ownership process. Dan Nardo is a seasoned Certified Yacht Sales Professional with over 35 years of experience. John Middleton has 40+ years of boating experience on vessels ranging from Sailboards & Hobie Cats to larger Power & Sail cruising yachts.